How does data analysis compare to understanding an internal combustion engine? Would you buy a house knowing only that it had an indeterminate amount of bedrooms and simply a kitchen and a lounge? Surely, you would want to know how many bedrooms, the size, design and exact layout of the house. Perhaps whether it had a garden or even outdoor parking? And maybe as you are looking at the house, you come up with new questions that you want to answer before you take action. Making a decision that could be worth hundreds of thousands without knowing the whole story seems like a ridiculous thing to do. Yet, it still happens in business all the time. Many people are still making important business decisions based on a limited view of their data. Due to the rise in the adoption of data discovery software and visualizationtools, employees at all levels – from the CEO to the sales team – are building data visualizations on a daily basis as they attempt to become a data driven business. However, in the age of data discovery, turning data into pictures is simply not enough. If you want to know the whole story and solve real business problems, you need to dig deeper into the data in a way that simple visualization tools don’t allow. For example, visualization tools that rely on Structured Query Language (SQL) to query, join, and analyze data, can ultimately create blind spots in understanding. These tools use a structured, linear approach to visualize partial subsets of data, instead of offering free-form exploration and search across all data. Often the only way to really ask new questions in a query-based tool is to build new visualizations and queries, which is inefficient and disrupts the natural flow of analysis for the business user. The problem lies in the fact that the answer is often divorced from the full data set, making it difficult to get a complete picture of how things are related and therefore only giving you part of the story. Qlik’s associative model is different. It allows users to answer not just ‘what happened’, but ‘why’ and ‘what is likely to happen’. This associative model enables users to probe all the possible associations that exist in their data, across all of their data sources. This means the user is not limited by predefined hierarchies or preconceived notions of how data should be related, but can finally understand and explore how it truly is related. To put this into context, let’s imagine the goal was to understand how an internal combustion engine works. With a query-based tool, you would see some of the individual parts of the engine in isolation. You would be able to evaluate one part at a time, but would be left on your own to attempt to understand the relationships between the parts and how they fit together as a cohesive whole to create a working engine. How does an internal combustion engine compare to data #analytics? With the associative model, you have the ability to analyze a complete working engine, learning how each part relates to all of the other parts. You can tweak the throttle and see how this affects the fuel intake, carburetor and exhaust. You could watch the pistons pump and turn the crankshaft. You can deconstruct the engine and look at each part in the context of the parts next to it. This is the power of the associative model. The point is: when users look at various pieces of information, they can immediately know how they are related. If they want to narrow the context down to a particular set of selections, they can immediately see how the rest of the data across the entire data set responds. They are not limited or restricted to seeing only a subset of the data relationships contained in a query result set. Qlik has been refining this associative model for exploring and understanding data for more than 20 years, however as the paradigm shifts around analytics, it’s becoming more and more of an important differentiator. 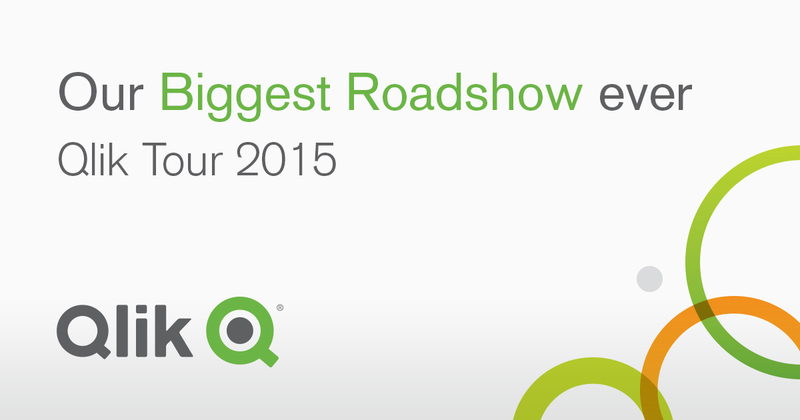 For this reason, we’ve decided to host a series of over 100 events across Europe, where Qlik experts and leaders in the analytics space will help attendees discover how our unique associative model allows businesses to uncover the secrets their data could be hiding. The events will also host sessions with businesses that are already seeing the whole story of their data, and can discuss the benefits they are seeing as a result. The ‘See the Whole Story’ Tour will be held from September through November in cities across Europe, the Middle East and Africa. If you’d like to attend and unlock the possible connotations that exist in your data, you can find more information and register for one of the events here. Don’t let your business become narrow-minded in its view of data, sign up and learn how to uncover the whole picture and gain better business insights.